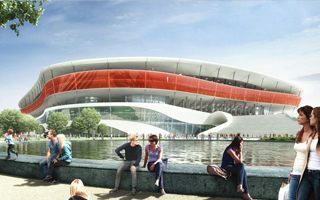 The concept is one of three bids for the design, construction and operation of Belgium’s new national stadium. 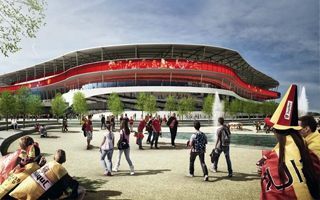 The ground’s capacity has been pre-set at 62,613 seats and its site is located in northern Brussels, at Parking C near the current national stadium. Selection of the preferred bidder is due in early 2015. 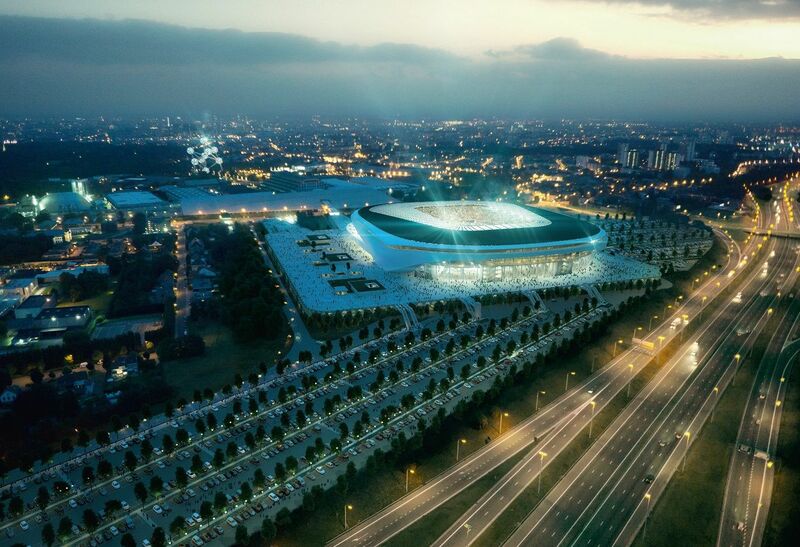 Construction will follow in 2016 and within under 3 years (in 2018) the stadium will be delivered, timely ahead of Euro 2020. RSC Anderlecht and the national team will provide week-to-week use. 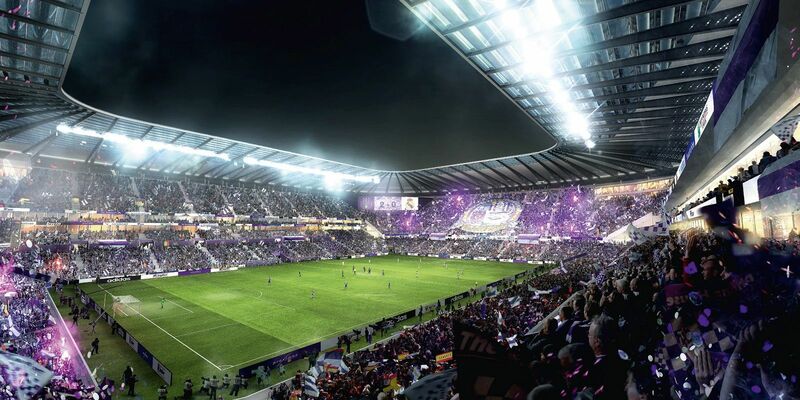 Along the Populous vision, the new stadium is to be enclosed in a futuristic outer form. Parts of the external cladding will be opaque, but majority will be openwork and allowing display of images and colours, while also providing sufficient light access inside and ventilation. An interesting feature is leading the upper promenade outside the façade, making it a viewing deck with a great view of Brussels skyline, primarily the nearby Atomium tower. 19.03.2015 Brussels: Meet Belgium’s new national stadium! After months of fierce competition we know the winner of international competition to design and build the new national stadium in Brussels. 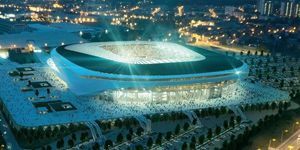 Euro 2020 will be played at a venue by Jaspers-Eyers / Ghelamco / BAM. 04.02.2015 Brussels: National stadium selection in 6 weeks? All three contenders made it to the final stage and are now awaiting evaluation. The best concept will hopefully be known in mid-March. Planning permit should follow shortly for the Euro 2020 venue. 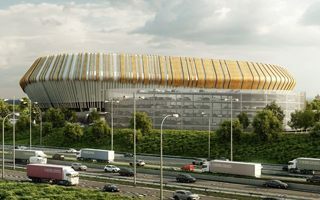 Each of the three initial bidders met yesterday’s deadline and delivered a more detailed bid for the national stadium in Brussels. Final selection coming up in January 2015.